These look so deliscious - I love oats. Delicious and healthy treat ! Thanks for sharing the recipe! 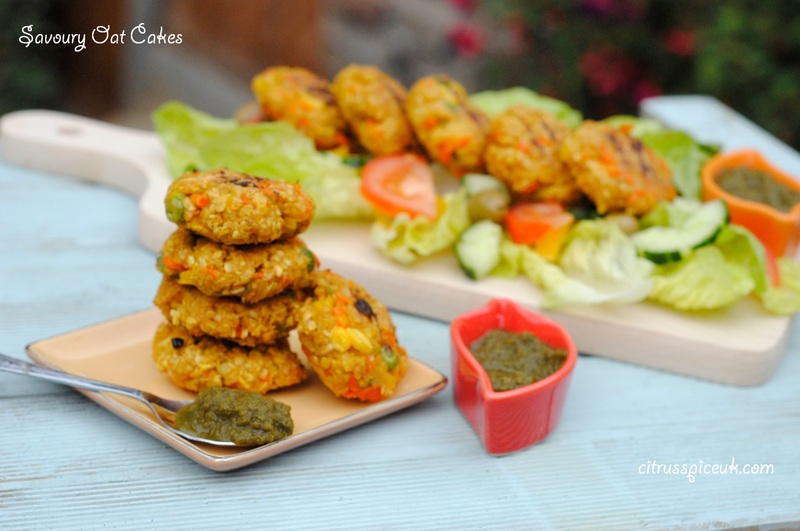 These oat cakes look so yummy! I pinned your recipe so I don't lose it ! Would love to try these out this week! Thanks for posting. I'll let you know how mine turn out! 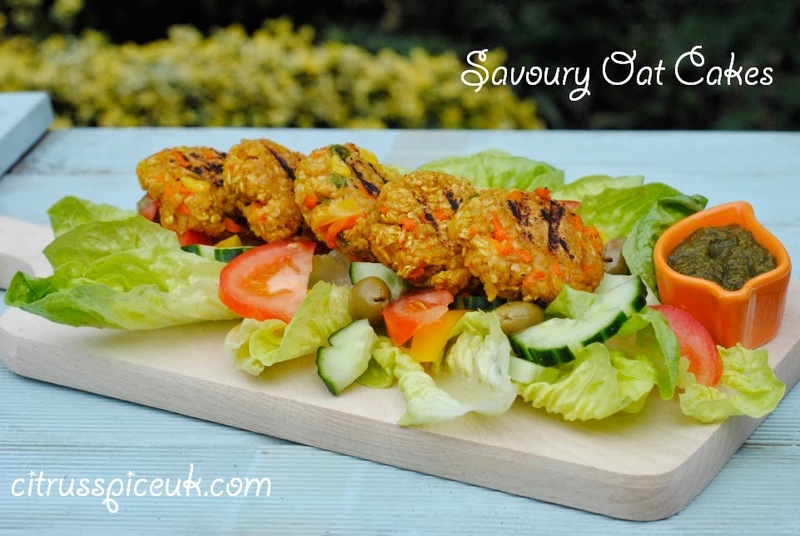 I love oats in just about anything Nayna and your oatcakes look super delicious - yum! love this healthy treat with salad. Those are so cool! They look like little Thai fish cakes but with oats instead, beautiful. 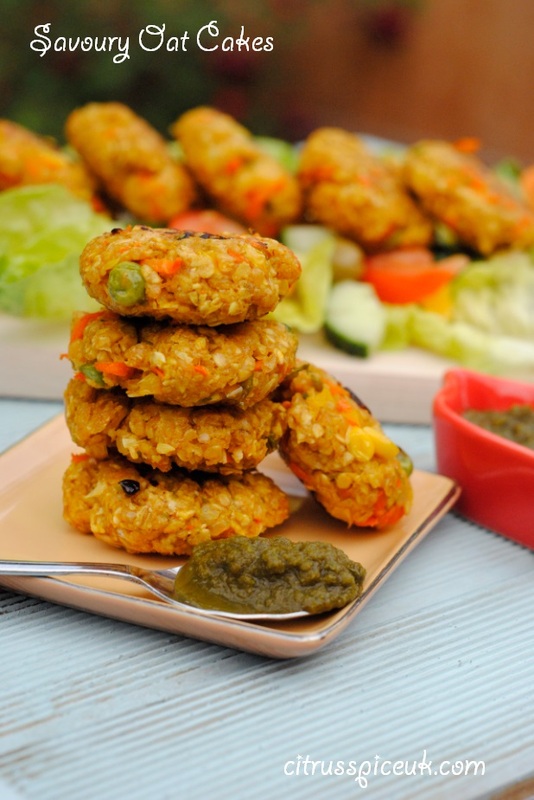 These look really delicious, and healthy too, so doubly good. Nayna, gorgeous pictures and recipe as well. You are making me crave an early lunch. Sounds really good. They look tasty too. Nice pics. Pinning to my Good Eats board. These look well lush! I could do with that now! They sound yummy and veggie too - yay! I have pinned this straight away. Really need healthier dinner ideas This sounds like something my family would eat. Ooh, I reckon leave out the salt and my kids would love these! The high vegetable content obviously keeps these together but I wondered if there was anything else you could put in them, like lentils or chickpeas? These look really interesting, I bet they'd be great with Philly too. Will try them at the weekend. They look and sound great! Must give them a go sometime! These look gorgeous, my boys would love them looking forward to trying them out. These sound delicious and so many healthy ingredients! I wonder how they would work cold on a picnic! i have tried these now and they are very nice, although i still prefer the staffordshire oatcake. Look great and good for you too.